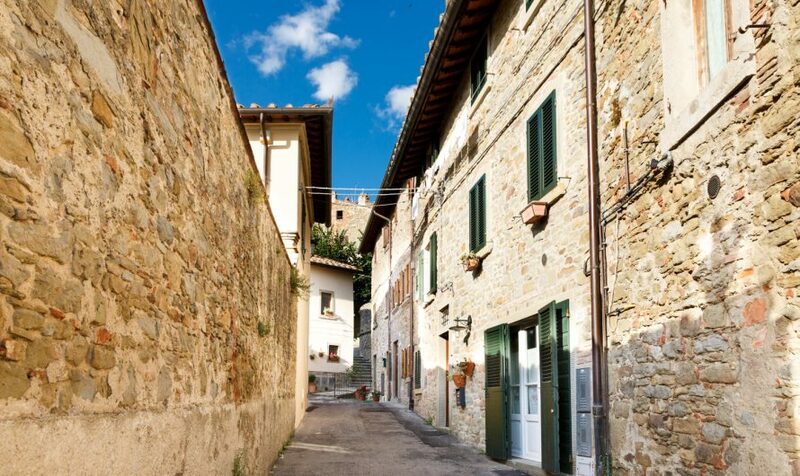 This beautiful independent house can be found in the lower part of Cortona. It is entirely made of stone and the owner was born and grew-up in this house. In 2015 it was completely restored, respecting the architectural traits of the typical Cortona house, but at the same time making it comfortable and welcoming for new guests. Casa Stella, about 80 sqm, is split on 3 levels, connected by an internal staircase. On the ground floor, there is a bedroom with a double bed (measuring 185 cm, it cannot be separated into twin beds) and a private bathroom and shower. This bedroom is very cool, for this reason, it doesn’t have air-conditioning. On the first floor, one can find the living area with a fully-equipped kitchen. The two windows offer a beautiful view of the town. On this floor, there is also a small laundry room with a washing machine and a clothes airer. Air-conditioning is available on this floor. On the second floor, there is the second bedroom with a double bed (measuring 185 cm, it cannot be separated into twin beds) and a private bathroom with a shower. This bedroom has air-conditioning and is completed by beautiful windows views of Cortona. 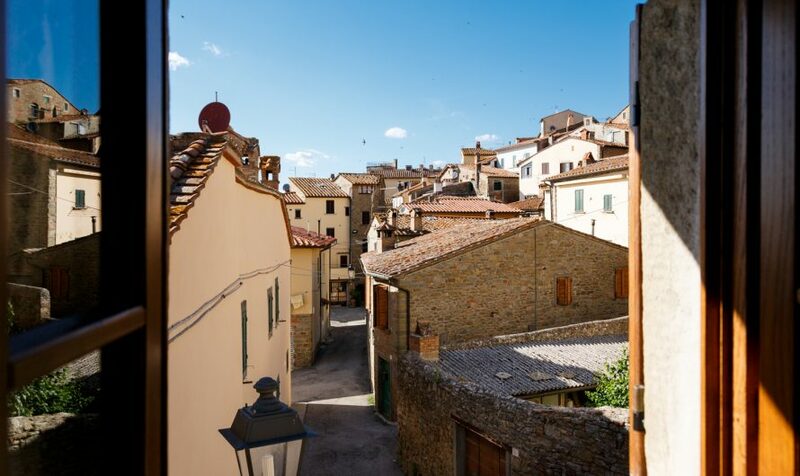 As this is a town center apartment, there are no terraces, gardens or outdoor areas, instead, the beautiful Cortona is your backyard! 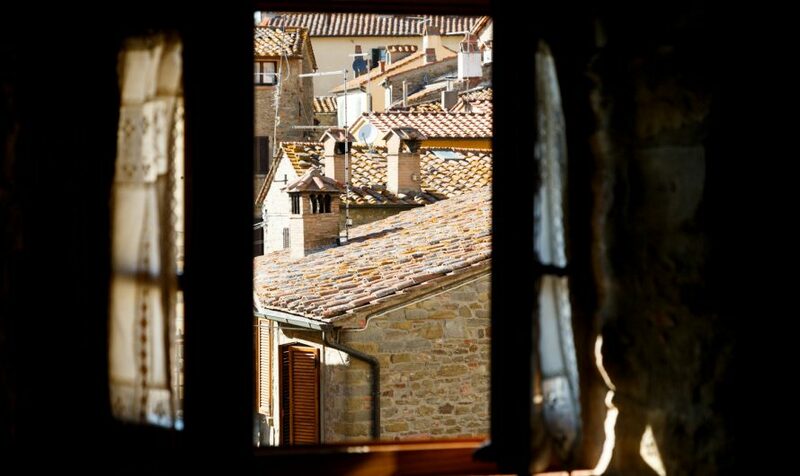 Made famous by the movie ‘Under the Tuscan Sun’, Cortona is perched on a hill overlooking the Valdichiana valley. This beautiful medieval town is rich in history and art, but also excellent restaurants, cafes and ice-cream parlors. All are within walking distance from Casa Stella. Wi-Fi, TV, Moka pot, American-style coffee machine, dishwasher, A/C on the first floor, toaster, hairdryer. Cot and highchair upon request. The picturesque town of Cortona, made famous by the movie ‘Under the Tuscan Sun’ is perched on a hill overlooking the Valdichiana valley. This beautiful medieval town is rich in history and art, but also excellent restaurants, cafes and ice-cream parlors. All are within walking distance from Casa Stella. A small supermarket is also less than 10 minutes away on foot and so are ATMs and a post office. 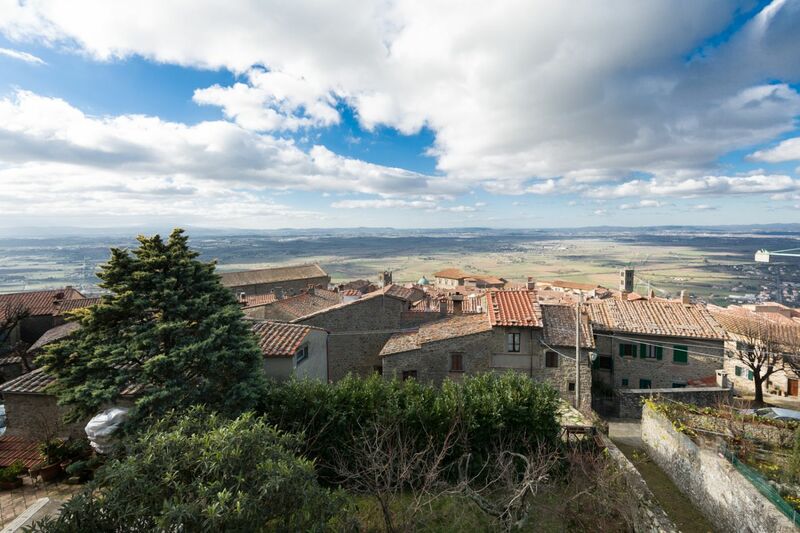 In Terontola, only 15 km from Casa Stella, there are a small supermarket, ATMs, petrol stations, a post office and a train station (Terontola-Cortona). Tourist tax: mandatory tourist tax, to be paid in cash at check-in. The tourist tax is €8 per person for the first week (except for children under 12 years of age). Refundable damage deposit: a minimum security deposit of €250 will be pre-authorized on your credit card at check-in. The pre-authorization hold will be released at check-out. In the unlikely event that the vacation rental is wilfully or negligently damaged, the deposit will be withheld and applied to all repair and replacements costs, except in case of major damages.